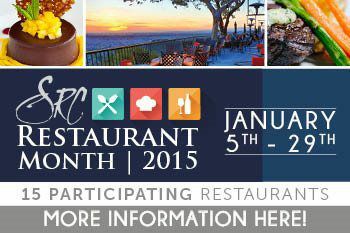 JOIN US FOR SRC RESTAURANT MONTH JANUARY 5TH-29TH! Signature Menu Items, Wine Pairings, and Spectacular Views! Click HERE to view Orange Hill's Menu! To View Menus from all Participating Restaurants, CLICK HERE!